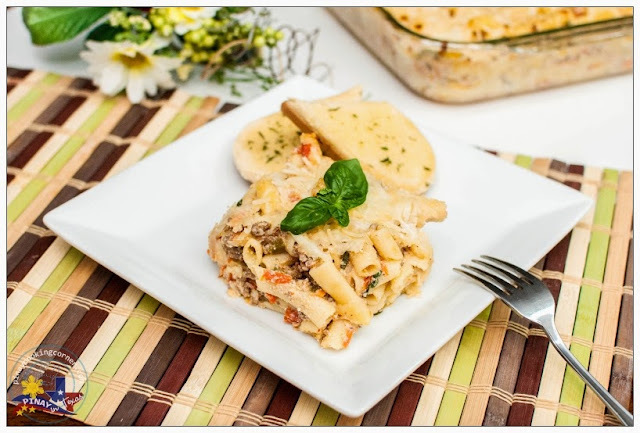 This delicious and comforting Three-Cheese Baked Ziti is another favorite here in our house! 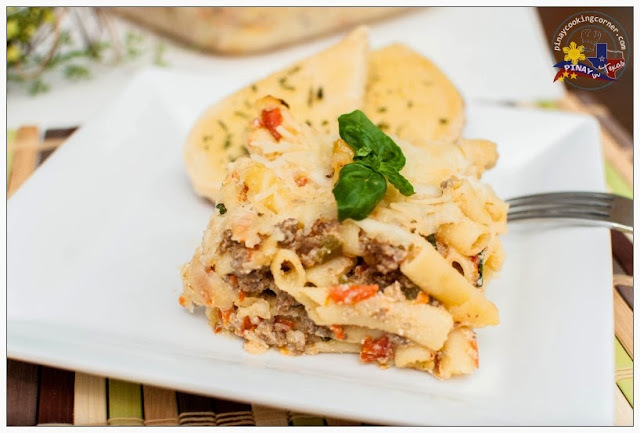 It is packed with ground beef, fresh tomatoes, carrots and peppers, three kinds of cheese including ricotta, Mozarella and Parmesan and a hint of red pepper flakes, which makes it a go-to comfort food. 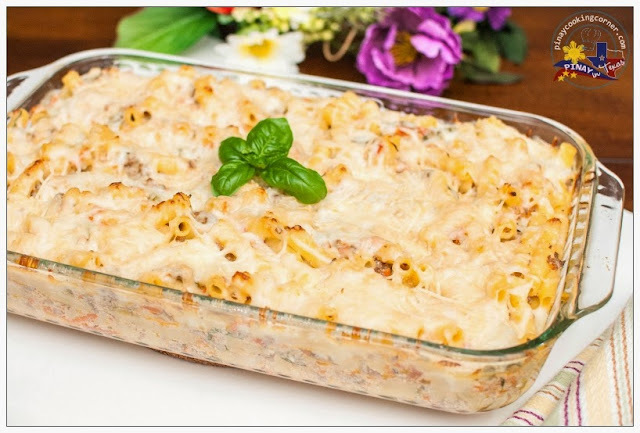 The best thing is that you can get this dish assembled ahead of time, store in the ref and just bake later for a quick and easy meal any night of the week! Do give it a try and let me know what you think! 1. In a large skillet or wok over medium high heat, saute beef in olive oil. Season with ½ tsp salt and 1/8 tsp freshly ground black pepper. Keep stirring until beef is evenly browned, about 5 minutes. 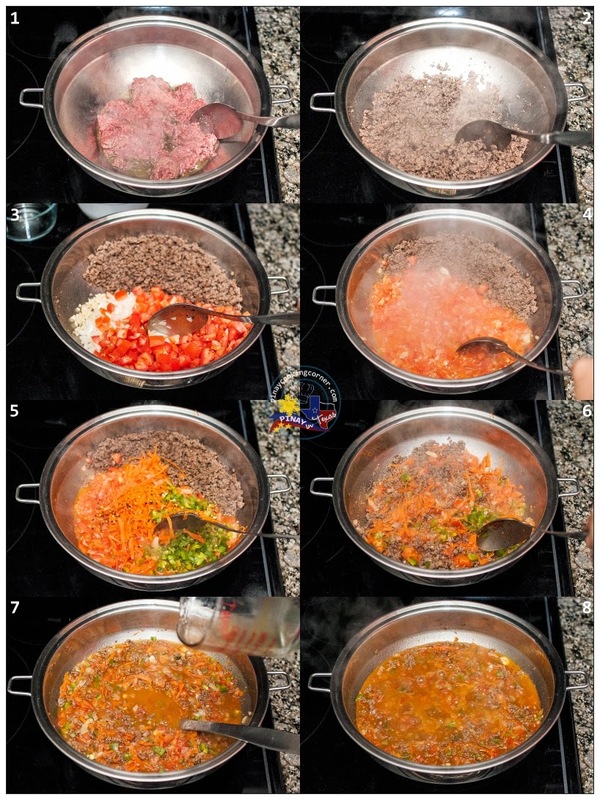 Push beef into one side of the pan. Add garlic, onion and tomatoes. Saute until tomatoes are soft. 2. Add bell pepper, carrots and red pepper flakes. Mix with all the other ingredients until well combined. Add broth and mix well. Bring to a boil. Reduce heat and simmer, uncovered for 15 minutes. Season with salt and pepper to suit your taste. Remove from heat. 3. 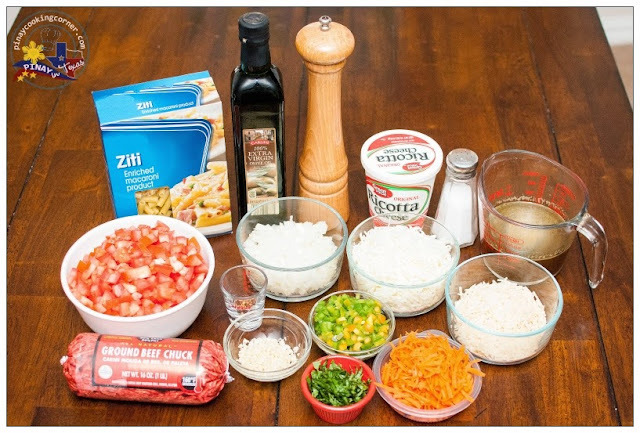 Meanwhile, cook ziti according to package directions. Drain and return to pan. Stir in the beef and vegetable mixture, ricotta cheese and basil. Transfer to a lightly greased 9"x13" baking dish. Sprinkle with mozzarella and Parmesan cheese. 4. Preheat oven to 425°F. 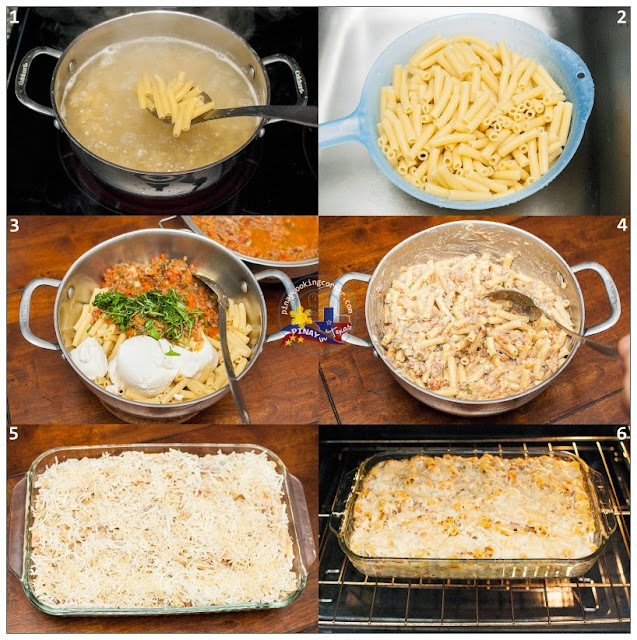 Bake Ziti, uncovered for 10-15 minutes or until heated through and cheese is melted.